SSM would like to give a big congratulations to Chicago Fire's Adailton and his family for obtaining permanent residents in the United States. This is a proud moment for his family that includes his wife Mariana and their young son. SSM would like to thank everyone involved in the process including the Chicago Fire and Mooers Immigration. He will no longer count as an international on Chicago Fire's roster. The news comes at a bittersweet period as doctors recently advised the Central Defender on having season-ending sports hernia surgery. Adailton had been bothered with the injury since earlier in summer and after trying less invasive procedures, it was apparent surgery was needed. SSM would like to wish Adailton well on a speed recovery! Get well soon Adi! Stone Sports Management, LLC (“SSM”) is pleased to announce Orlando City SC’s signing of Swiss International right-winger Adrian Winter as a Free Agent. Winter, who celebrated his 29th birthday earlier this month, joins his first club outside Switzerland where he played in over 300 matches scoring 48 Goals and providing 38 Assists. His most successful stint was with Swiss Super League club FC Luzern where he spent the last four seasons scoring 20 Goals and providing 28 Assists in 150 games (or 37.5 games per season average). Orlando City SC has been searching for a right-winger replacement to 2014 MVP Kevin Molino who suffered an ACL injury earlier in the season. Winter is known for his pace, ability to beat defenders in wide areas one versus one and to score goals and to provide assists, especially when counter-attacking. Winter made his professional debut in the Swiss Challenge league at 22 after moving from his youth club Red Star Zurich to FC Wil. After impressing with FC Will, he moved to FC St. Gallen where he would score 5 Goals in 17 matches and help them to promotion to the Swiss Super League and appeared in over 70 matches. After two more seasons, he made the switch to FC Luzern and caught the eye of the Swiss National Team after scoring 7 Goals and providing 8 Assists helping the club to a UEFA Europe League place and scored the game-winning goal against FC Sion to propel them to the Swiss Cup Finals. The following season he would have similar statistics scoring 9 Goals and providing 8 Assists, including the winning goal against Belgian club K.R.C. Genk in the Europa League. Winter joins an Orlando City SC squad that is currently tied for the last Eastern Conference playoff spot and will be playing next to 2007 FIFA World Player of the Year and Captain Kaká. Winter becomes the first Swiss native to play for the club who has international players hailing from Brazil, Colombia, France, El Salvador, England, Honduras, Jamaica, Ireland, Portugal and Trinidad & Tobago. Orlando has sold out every game this year and will move into a brand new stadium next season. SSM would like to thank Orlando City SC General Manager Paul McDonough, Head Coach Adrian Heath, and Team Administrator Erik Ustruck for their assistance with this transfer and help welcoming Adrian to Orlando. A big thanks also to Swiss Partners Gold Kick for its collaboration on this transfer. Click HERE for Orlando City SC’s 2015 MLS Schedule. Winter currently remains in Switzerland waiting for his P1-Visa and is expected to join the club next week. Please enjoy his FC Luzern Highlights below. 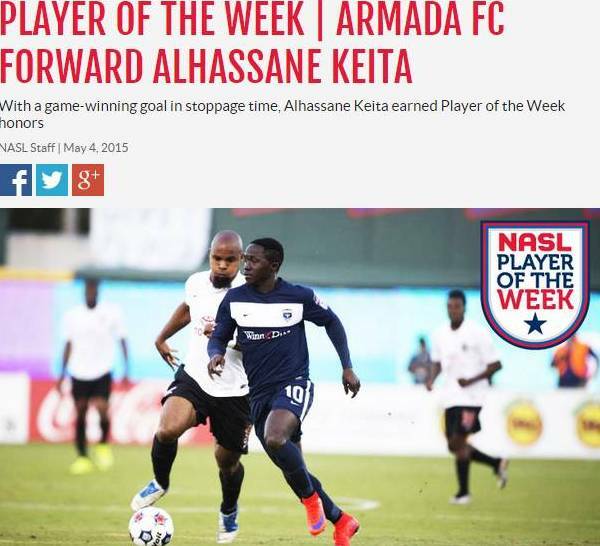 FWD: Alhassane Keita (Jacksonville Armada FC) – Known for his inspiring chant before each match, Keita continues to inspire his team on the pitch as well. Sporting a bandage from a cut he picked up last week, the Guinean international looked dangerous against a staunch Atlanta back line. 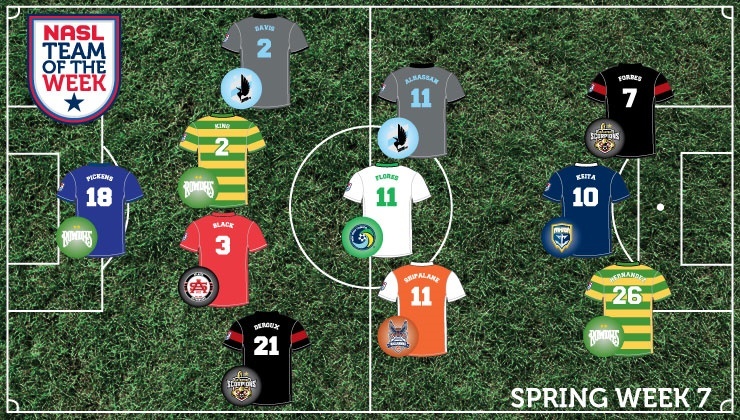 After the Armada FC fell behind in the first minute of play, Keita eventually pulled the teams level. 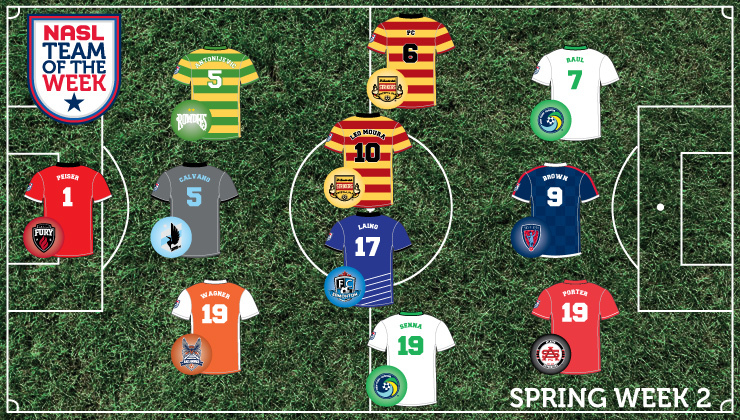 Marcos Flores threaded the ball between Atlanta’s center back pairing, and Keita utilized his space to beat Silverbacks goalkeeper Steward Ceus with a shot to the far post in a match that ended in a 1-1 draw. Check out the match highlights below and congratulations to Keita! "My short time in Montreal was a great experience, but it's an honor to return to some unfinished business here with Indy Eleven," said Nicht. "Ther response from the fans initially was honestly a bit overwhelming, so I'm incredibly happy to be back in Indianapolis and playing in front of the Brickyard Battalion and the best fans in the NASL." A sample of the overwhelming fan response can be viewed HERE to read one perspective on Kristian's impact on Indy Eleven after the Impact transfer was announced. Nicht started Indy Eleven’s first four 2015 NASL Spring Season contests, registering an undefeated 1W-3D-0L record. He currently places tied for 5thamong NASL goalkeepers with at least 100 minutes of action in 2015 in both goals against average (1.00) and saves (13). 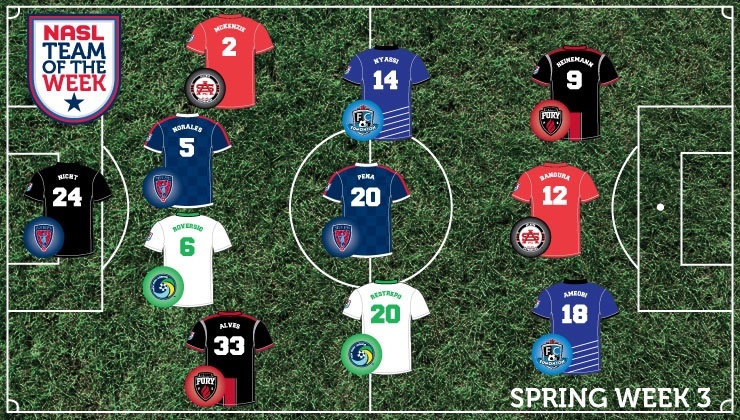 His standout play in Indy Eleven’s 2-1 win at San Antonio on April 18 earned the German his first spot on the NASL Team of the Week this season (Spring Week 3). "This has been such a whirlwind the last few months, especially for Kristian, and elated that he is able to return to Indy," said SSM's President and Players' Agent Justin B. Stone. "Kristian was part of history playing in a Champions League Final and played well considering the unique situation. The feedback has been positive and expect him to return to MLS in the future, but for now he is completely happy and focused on returning to Indy and helping the team meet its Playoff and Championship goals." In 2014, Nicht started all 27 NASL regular season contests and both appearances in the Lamar Hunt U.S. Open Cup for Indy Eleven during its inaugural season. His 397-minute shutout streak across last September and October set a new record for a goalkeeper during the modern era of the NASL. SSM would like to thank Indy Eleven for its dilligence securing Kristian's services so quickly after his Montreal Impact stint and wishes Kristian and the club well throughout the 2015 Spring and Fall seasons. Click HERE to see Indy Eleven's schedule. 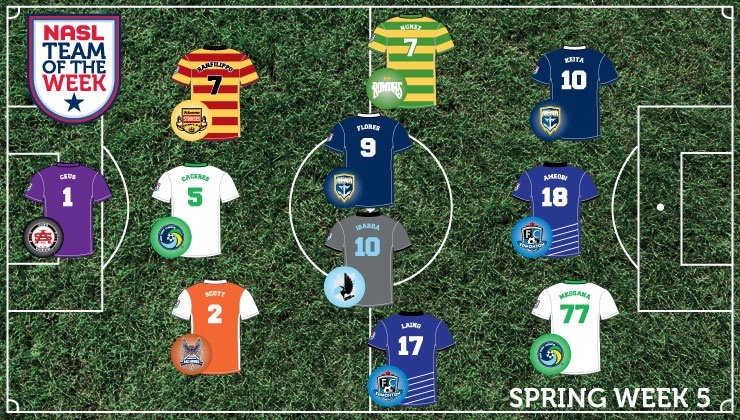 Stone Sports Management LLC ("SSM") would like to congratulate Striker Alhassane Keita for his achievement recognized by the North American Soccer League ("NASL") Player of the Week (Spring 5) (and of course to the NASL Team of the Week (Spring 5)). Keita was constantly involved throughout the game and was rewarded by scoring the game-winning goal in the 93rd minute to go up 2-1 against the 2014 NASL Champions San Antonio Scorpions. Keita also added a second assist on the club's first goal and worked diligently on defense tracking all the way back to the Armada's 18-yard box on occassion. FWD: Alhassane Keita (Jacksonville Armada FC) – With time running out in Armada FC’s first match at Community First Park, a draw seemed to be the most likely result. That was until second-half substitute Akeil Barrett created space and played Alhassane Keita through on goal with just a minute left in stoppage time. The Guinean international made no mistake with the finish, scoring a dramatic winner to give Armada FC a 2-1 victory over the Scorpions. Check out the game highlights below and congratulations to Keita! 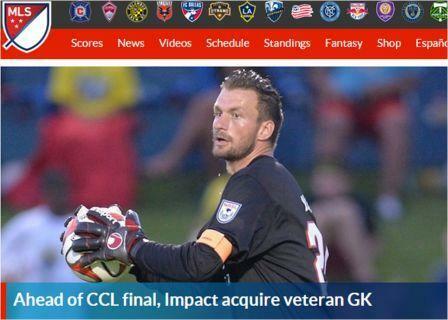 Veteran goalkeeper Kristian Nicht is on the move again to the Montreal Impact. But this time it is Indy Eleven permanently transferring him to Major League Soccer that puts him in a position to be the last line of defense in the most important game in Canadian club history and one of the most important games in Major League Soccer's history: The CONCACAF Champions League Final Second Leg against Mexican side Club America. The match is expected to be the most attended match in Canadian history with 61,004 tickets sold at Olympic Stadium. After scoring an important away goal in Mexico's Azteca stadium, the Impact will advance to the FIFA World Club Championships this December in Japan should it post a clean sheet or any victory margin. The Montreal Impact were in desperate need of a goalkeeper after its starter Evan Bush received his second yellow card in as many games triggering an automatic suspension. After the Impact's attempt to appeal the suspension was denied, the Impact turned to a familiar face in Nicht after he had been on loan previously this season and backed up Bush during three matches in the CONCACAF Champions League in previous rounds. 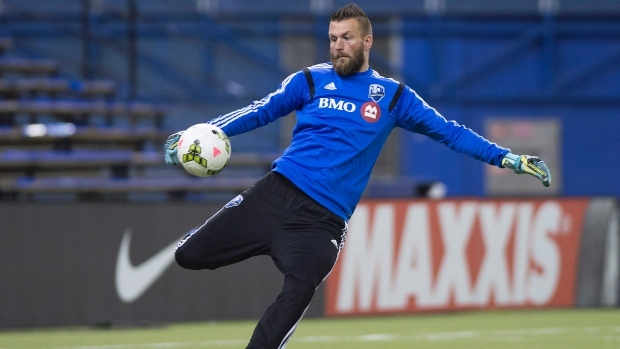 "We are very pleased to acquire an experienced goalkeeper who is having success this season and who has had success in the past," said Impact Technical Director Adam Braz. "We know how he will integrate within the group with ease and he has spent a few weeks with us during training camp as well as for games in Mexico and Olympic Stadium." SSM's President and Players' Agent Justin B. Stone had already made plans to travel to Montreal for this historic ocassion but now the game has even greater implications. "This is such a special moment for Kristian and cannot wait to see him perform at a high level in front of such a large audience," remarked Stone. "Kristian has been playing really well this season for Indy Eleven and has played in front of crowds larger than 60,000, so his experience will help him and the Impact against Club America." Nicht leaves Indy Eleven as the only player to play every minute of every game and will always be known for being the first player signed in the club's history. 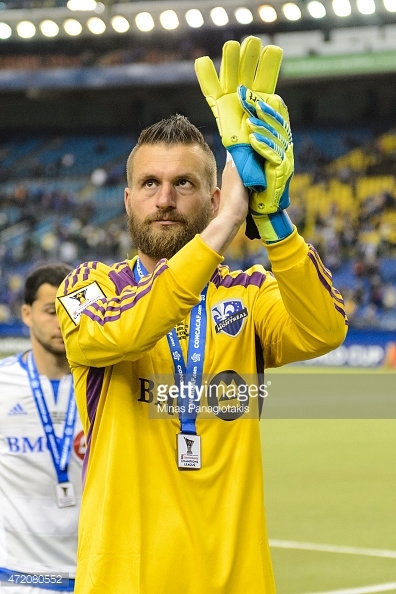 He earned the 2014 Player of the Year Award and owns the NASL Modern-Day record for consecutive clean sheet minutes with 397. His impact on the club and community can be summarized by Eleven Heaven's Editorial by clicking HERE. GK: Kristian Nicht (Indy Eleven) – Needing a strong team performance to earn any points on the road against the San Antonio Scorpions, Indy Eleven certainly achieved that. German goalkeeper Kristian Nicht led the charge between the posts, making four key saves to help his team defeat the defending NASL champions at Toyota Field. Check out the match highlights below and congratulations once against Kristian! DEF: Tiago Calvano (Minnesota United FC) - With the Rowdies finding the back of the net three times in their season-opening win, the Loons’ backline was always going to need to put in a strong shift – and that’s exactly what they did. 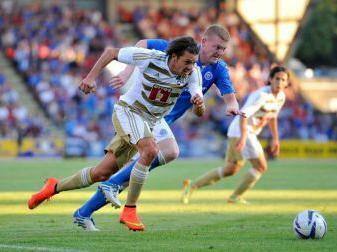 Led by the strong play of Brazilian defender Calvano, United kept a clean sheet in its first game of the 2015 season.